(VEN) - On September 22, 2017, the Ministry of Industry and Trade issued Instruction 11/CT-BCT promoting the implementation of a roadmap for blending traditional fuel with bio-fuel, affirming the government’s determination to replace RON92 petrol with E5 RON92 bio-fuel nationwide from January 1, 2018. 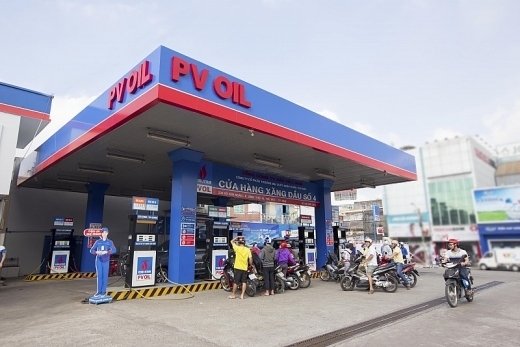 As a major petroleum distributor, the PetroVietnam Oil Corporation (PVOIL) has got ready for this comprehensive change. 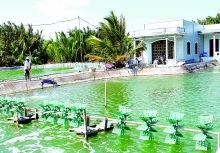 PVOIL was the first unit nationwide to pilot the manufacturing of E5 RON92 bio-fuel in October 2008 and commenced official sale on August 1, 2010. 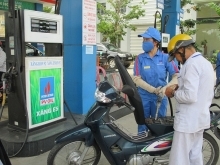 Since December 1, 2014, E5 RON92 bio-fuel has been available for sale in seven provinces and cities (Hanoi, Ho Chi Minh City, Hai Phong, Da Nang, Can Tho, Quang Ngai and Ba Ria-Vung Tau) through PVOIL’s distribution network. With support of the local people’s committee and relevant departments and sectors, E5 RON92 bio-fuel has also been sold widely in Quang Nam Province since December 2014. Currently, PVOIL continues selling E5 RON92 bio-fuel and RON92 petrol simultaneously. The corporation has built necessary warehousing facilities and blending stations and got ready in terms of material resources and transport means for selling E5 RON92 bio-fuel nationwide from January 1, 2018. The corporation has upgraded and expanded its warehousing facilities. It has installed and put 11 E5 RON92 petrol blending stations meeting Vietnamese standards into operation nationwide. PVOIL will put some new blending stations into operation this December to ensure sufficient E5 petrol supplies for 540 filling stations of its own and more than 3,000 filling stations of its general agents, agents and franchisees. The corporation has also worked out a plan to ensure sufficient supplies of E100 (pure ethanol) for E5 RON92 petrol blending stations, giving priority to using domestically sourced E100. PVOIL is improving technical facilities catering for retail activities and is willing to provide technical assistance for its agents and general agents. 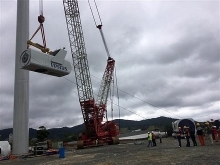 The upgrade of these facilities is scheduled to be completed within this December. So, PVOIL has already got ready for selling E5 RON92 bio-fuel nationwide from January 1, 2018. It has prepared all necessary facilities for production and transportation of E5 RON92 petrol from blending stations to transit warehouses, distribution agents and filling stations nationwide.